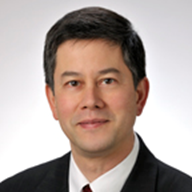 Greg Chu is Chief Operating Officer of InTask, Inc., a software development company specializing in advanced simulation platforms for use in healthcare market research. Shortly after its launch in 2016, the company was recognized by PM360 as one of the most innovative healthcare start-ups of the year. Prior to heading up InTask, Greg was president at Ipsos Healthcare in charge of global research innovation and has also held leadership roles in market research and commercial analytics at Novartis, Forest Labs and Merck & Co.